With comedy and interviews behind him, Daily Show host Jon Stewart and his family have decided to open an animal sanctuary and educational center on a 12-acre farm they purchased in Middleton, New Jersey. The sanctuary will be home to abused farm animals from around the nation, which sadly there appears to be little shortage of. 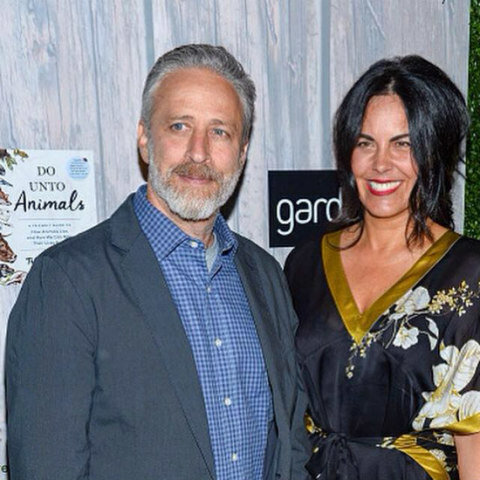 On Saturday, October 24, 2015, Stewart and his wife Tracey were honored in New York at a Farm Sanctuary gala for their efforts in animal rights advocacy. Tracey Stewart is well known for her work on the subject and is noted for recently publishing a book entitled Do Unto Animals in connection to it. Farm Sanctuary began in 1986 and provides shelter to animals rescued from factory farms. The group currently operates three rescue centers, two in California and one in upstate New York. Throughout the years Stewart raised the issue of animal welfare on his hit show. He even publicly took New Jersey governor Chris Christie to task for vetoing a proposed ban on confining pigs to small crates. During the Farm Sanctuary event, Stewart addressed the audience purportedly saying, "I'm a little uncomfortable. I've spent the last 20 years immersed in the world of Washington politics and the media landscape, so I don't know how to deal necessarily with people who have empathy." The change in direction must be a welcome reprieve to the daily grind of commuting and suits and ties. Not everyone has the opportunity to switch horses midstream in their careers, and fewer have the luxury of going into a field that not only allows them to do something they believe in but that they are passionate about. For the last 29 years, Farm Sanctuary has been rescuing animals in need and working tirelessly to change and improve their living conditions. They've saved chickens forced to live in aquariums (believe it or not, it's true) and countless other animals suffering from neglect and abuse. Besides coming to the aid of animals, they provide educational resources to individuals and groups and offer internships and job opportunities for folks wishing to get involved in their worthy cause. On their website you'll find nutritional information on eating and living the healthy lifestyle and updates on campaigns and projects impacting people and animals. There's even a Daily Squeal segment on the site that links to the Stewarts' Facebook fan page loaded with fun pictures and posts presumably by Tracey outlining their excitement over their involvement with Farm Sanctuary and highlighting the family's enthusiasm for their new venture. 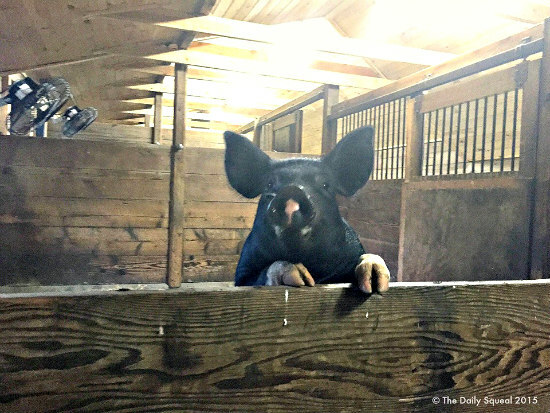 According to the New York Times, the name of their farm in New Jersey is Bufflehead, and four rescue pigs are already happily calling it home. The Times also reports that future inhabitants will likely include cows, sheep, goats, chickens, turkeys and additional pigs. The animal-loving couple soon hope to attract other like-minded individuals concerned with animal welfare to help them champion their cause. There's no word yet on when the animal sanctuary will officially open, but as more news becomes available we'll keep you posted. It's always nice to read about animal friendly events and facilities where humane and ethical treatment of defenseless creatures is a priority. With any luck, the Stewarts' high profile will encourage more interest in the topic.